Owing to a modernized infrastructure for trouble-free processing & post-production, we are instrumental in offering Protein Tonic with Iron, Vitamin & Mineral which is health restorative for whole family. 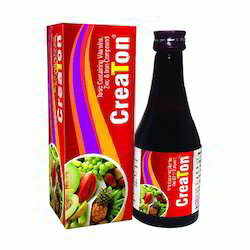 Our offered protein tonic is tested in terms of quality before supplying at customer’s end. This protein tonic is processed from the best grade ingredients under the direction of experts in conformity with the set standards. 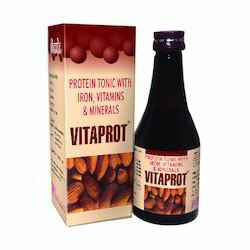 Our customers can avail this protein tonic from us at competitive rates in air tight packaging. 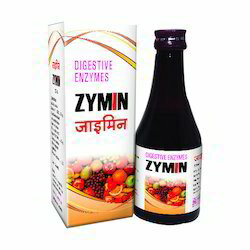 Unique Features : Therapeutic Formula permitted under DRUG and it is quite different from the Products classified under FOOD. General Tonic for whole Family. Therapeutic Formula permitted under DRUG and it is quite different from the Products classified under FOOD. Higher Bio-availability & lowest gastric side effects. Our competency lies in offering our clients an excellent quality range of Calcium Syrup with Vitamin D3, B12 & L-Lysine. 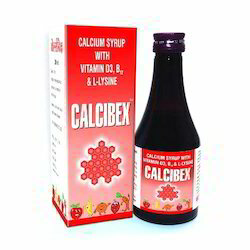 This syrup is demanded for osteoporosis & osteomalacia. The offered syrup is processed at par with medical standards utilizing best grade ingredients& advance methodology. 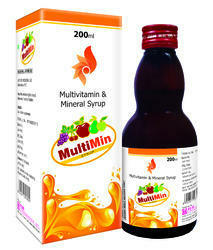 We offer this syrup in quality packing for maintaining its quality& delivered within a promised time. Fungal Diastase derived from Aspergillus Oryzae. Digest not less than 60gms. Of cooked starch. Sugar-free, Sorbitol based, Clear -Transparent stable Liquid. 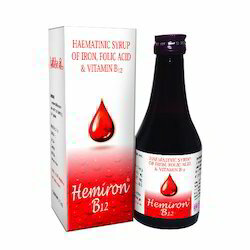 With support of our excellent team workers, we have been delivering the best quality range of Haematinic Syrup of Iron, Folic Acid Vitamin B12. The offered syrup is processed under the supervision of pharmaceutical experts using safe ingredients in compliance with medical standards. This syrup is helpful for iron folic deficiency. We assure our customers that offered syrup is severely tested from our end for ensuring its usage. 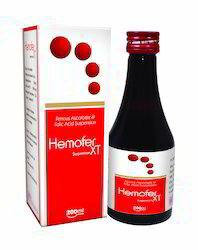 Therapeutic Uses : Pregnancy Anemia, Nutritional Anemia, Iron Folic deficiency. 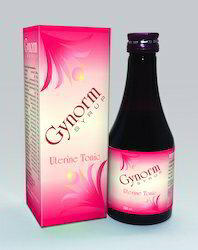 Unique Features : Therapeutic Formula permitted under DRUG and it is quite different from the Products classified under FOOD. Higher Bio-availability lowest gastric side effects. This is a Unique Herbal-Ayurvedic Patent Medicine, containing following useful Herbal Extracts of the recognized Herbs being used to treat Jaundice & Hepatitis. 200ml Brute shaped Pet Bottle with Carton. 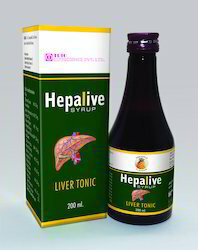 1 to 2 Teaspoonfuls 2 to 3 times a day or as directed by the Physician. Eq. to Elemental Iron 30 mg.
Folic Acid IP 500 mcg. 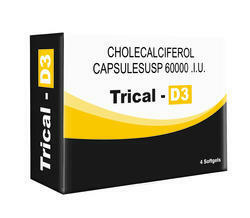 Cholecalciferol (Vitamin D3) IP 60000 i.u. Improves absorption & functioning of Calcium. Ensures Bone mineralization & induces Muscle Cell Growth. Reduces Bone & Muscle pain. Outer Box containing 20 Monopacks of 4 Soft-gel Capsules each. Irritation & painful cracking of the lips. Riboflavine : Eleminated cracks in mouth, Lip & Tongue. It is Anti-oxidantto fight with free Redicals. Niacinamide : Helps to prevent Deficiency causes skin problems, including dermatitis,skin lesions on the face, arms & hands. L-Methyl Folate : Helps the body to make healthy new Cells. It is imp. In aiding rapid cell division growth & maturation of RBCs. It also required for Foetal & Brain development of Child. Lactic Acid Bacillus Spores : Maintains G.I. Flora. 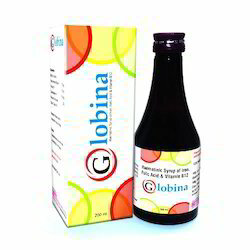 Ensures better absorption of Vitamins. 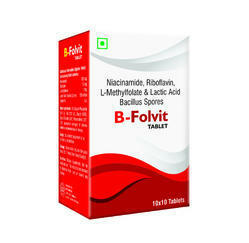 It gives relief from NSAIDs & Antibiotics associated diarrhea. A Box of 10 x 10 Tablets. Boost up immune System, Neutralize free Redicals, Regulate brain functions, and provide energy for proper growth of Body. 200 ml Pet Brute Bottle with Measuring Cup in a Carton. Looking for Vitamins & Nutritional Tonics ?